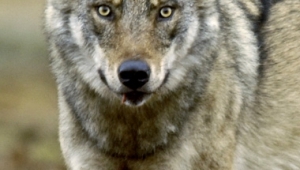 This website is the number one source of information on Finland's large carnivores. We offer objective and reliable information and help people coexist with these animals. The website is maintained by Metsähallitus, the Finnish Ministry of Agriculture and Forestry, the Finnish Wildlife Agency, Natural Resources Institute Finland (Luke) and the Finnish Ministry of the Environment. If you come across a large carnivore in the wild, keep calm. You should not shout or turn your back on the animal. Large carnivores elicit strong reactions from people. On the one hand they are feared and hated, and on the other there is a desire to protect them and they are viewed as symbols of the wilderness. In reality, most people know fairly little of our large carnivores. The views held by Finns are sometimes conflicting when it comes to the population management and conservation of large carnivores. In order to piece together these different views, national management plans are created.